Creating an Online Classified website?Here is the list of some of the best WordPress classified themes. They have wonderful designs, amazing features, flexible options and unlimited uses. These are Classified themes and they obviously have the basic inbuilt feature of posting and displaying ads. Besides, they all come with their unique features and customization options. You can create fully functional classifieds website by using this Classifieds Directory software. 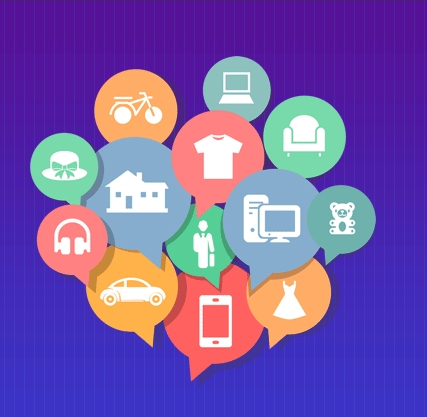 Want to create a classifieds website on your own? Here’s a step by step tutorial on how you can use WordPress to create your dream classified website. From registering a domain to site maintenance. We’ve got you covered with some actionable tips on how to create and maintain your ad posting portal. Learn with the guide or watch the video now. 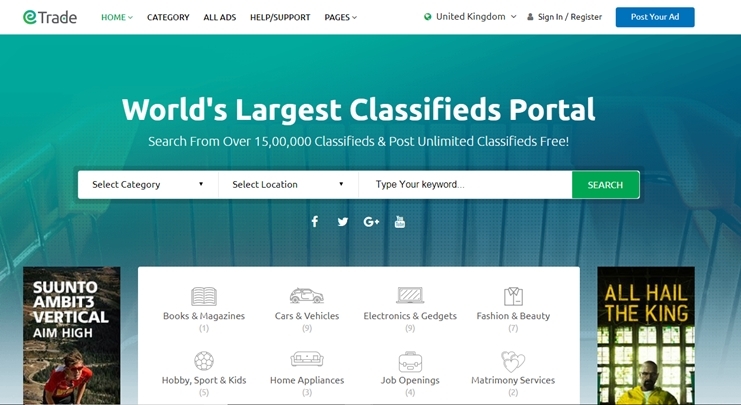 If you want to create a complete classifieds directory website where people can post ads as well as view advertisements, here's the solution. Templatic's classifieds WordPress theme is, in fact, a complete WordPress directory theme portal in minutes. In addition to that, it is so easy to use that even if you've never used WordPress, you will be able to create and manage your own ad posting WordPress website. The theme helps you earn using the monetization options. You can change colors, customize and make it look and work just the way you want. 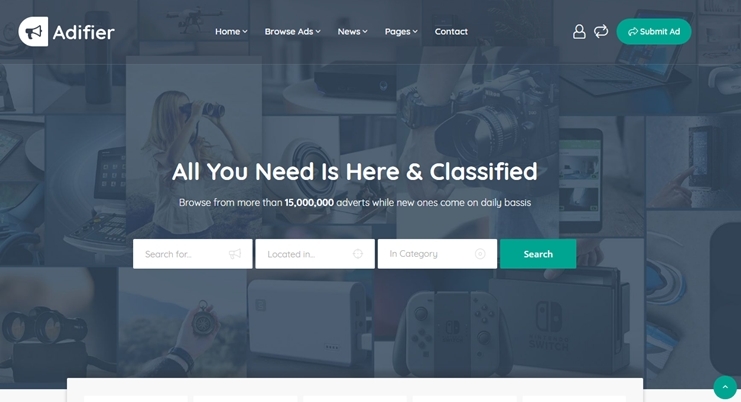 ClassyAds is a modern Classified listing WordPress theme for 2018. With the easy options and flexibility, you can create a desired classified website in minutes. For eCommerce features, the theme integrates with WooCommerce. It also supports WP Job Manager. So the theme can be used to sell commodities as well as job listings too. For location awareness, the theme integrates with the google maps. Flat Ads is a directory classified theme. Here classified ads are added as a directory listing. It tightly integrates with Google maps and GeoLocation facilities. The theme supports custom fields for categories and subcategories. With the help of bbPress plugin, you can start a forum on your site. The theme is also compatible with the WooCommerce plugin. For facilitating monetary transactions in the theme, you have inbuilt PayPal. Flat Ads is SEO optimized. To make the changes in the theme, you have an advanced and powerful theme options panel. 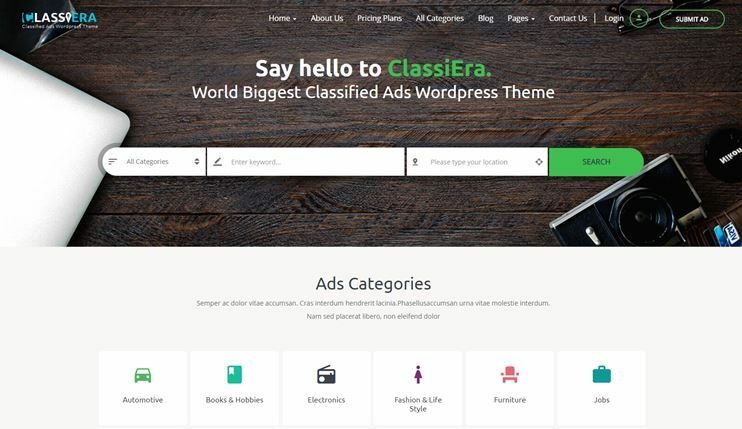 Classiera is one of the best classified themes for WordPress to create outstanding Classifieds WordPress site. It allows you to choose from 6 homepage layouts. The theme is tightly integrated with Google Maps. This is a complete WordPress classified listing theme. A Classiera website supports video ads too. For the visitor's experience, this theme comes with an advanced search bar. The Classiera comes with PayPal integration for accepting payments through your website. It is SEO optimized. 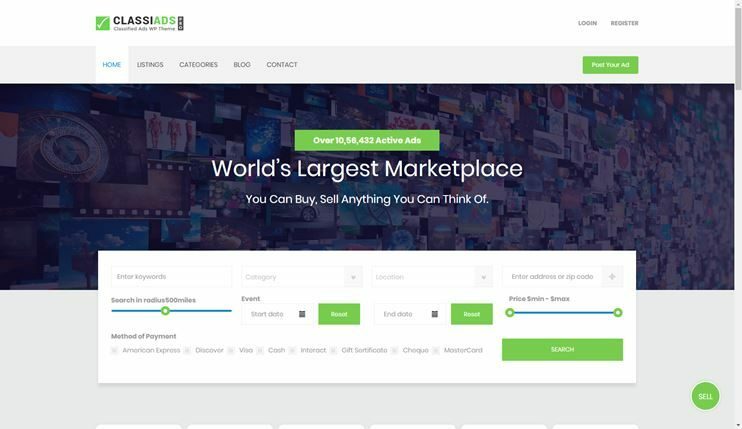 Trade is a classifieds theme with modern design and straightforward features. The theme comes with easy options to create and manage your classifieds website. You can create your classifieds website with drag and drop page building using the Visual Composer page builder. The theme comes with 4 unique and professionally designed homepage versions you can choose from. For payment processing, it comes with Paypal integrated. Trade is performance and speed optimized. 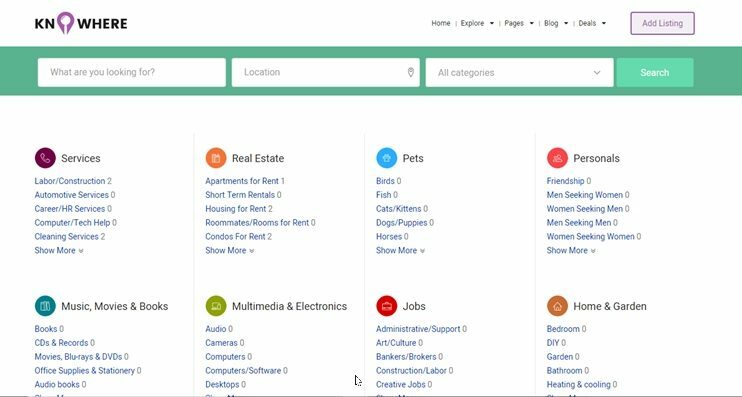 Knowwhere is a WordPress theme for creating a different kind of online dictionaries like Job board, city directory or a classifieds website. This WordPress Classified theme supports membership features as well as bookings. Therefore, the potential of a website created using this theme is unlimited. You can create page designs of your choice through the drag and drop Visual composer page builder and use the unlimited dashboard options to make your site look and work the way you want. 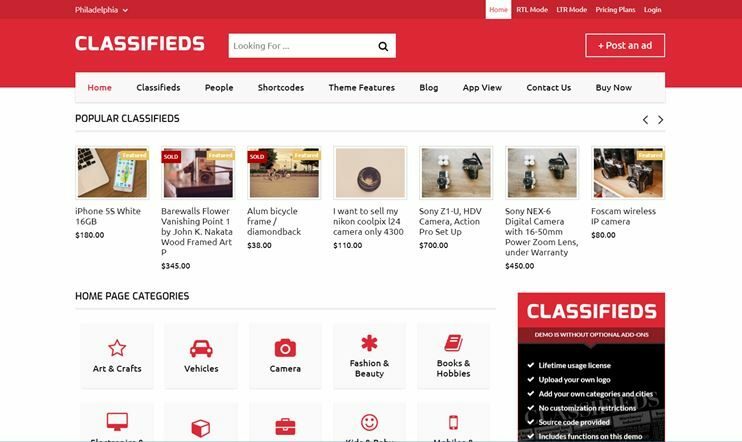 Classifieds is a comprehensive and one of the best wordpress classified themes. With all the features and options, you can create a website of your choice easily. Classifieds is performance optimized to ensure that the speed is not disturbed with even thousands of ads. 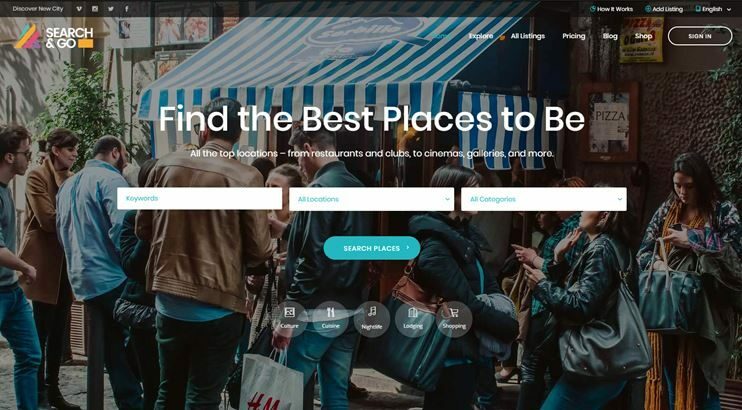 This theme supports geolocation search features. The ads will be posted with auto-expiration dates. The theme also supports category wise custom map markers. Classifieds is WooCommerce ready and supports multi-currency. It also supports RTL languages. 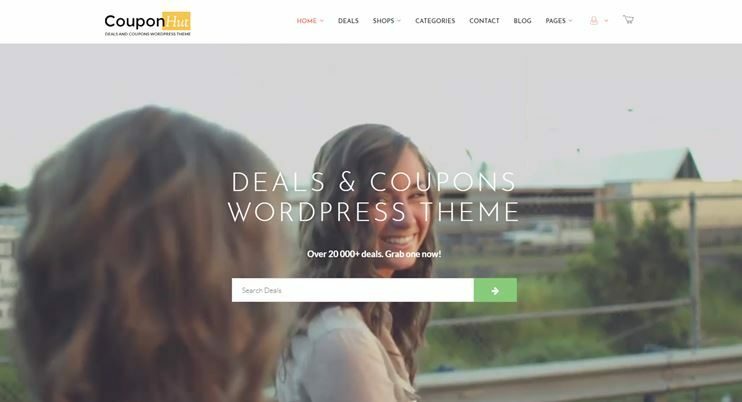 Coupon hut is a coupon and deals WordPress theme. It has a minimal and very clean design. The theme comes with an inbuilt page builder. With this theme, you can create 2 type of deals - Coupon and Discount. The theme has the facility of registration for the members. the theme comes with pre-designed page templates you can use directly on your website. For minor CSS changes, you can also use the custom CSS editor. Coupon hut is SEO optimized too. 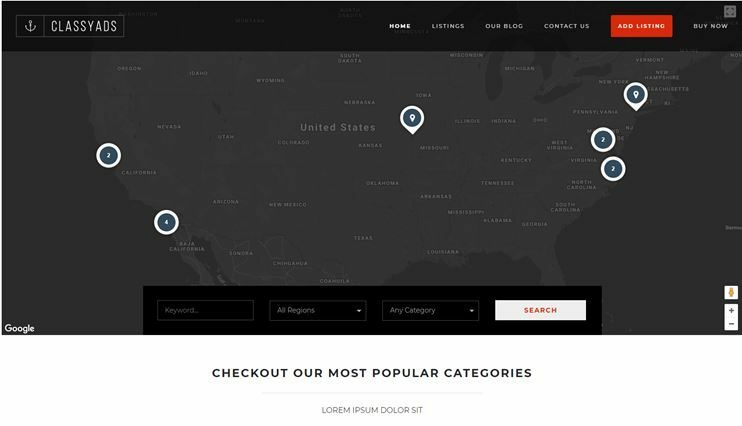 You can use this theme to create a website that compares various products. The theme has a beautiful design that looks great on every device. The Price Compare theme is performance and speed optimized. You can make money through this theme by creating an affiliate program. Price Compare comes with an inbuilt monetization system. With PayPal, Stripe and other payment options, you can enable monetary transactions. So, the theme offers Ajax search option. Price compare can also be used to create a website in RTL mode. It is SEO optimized too. 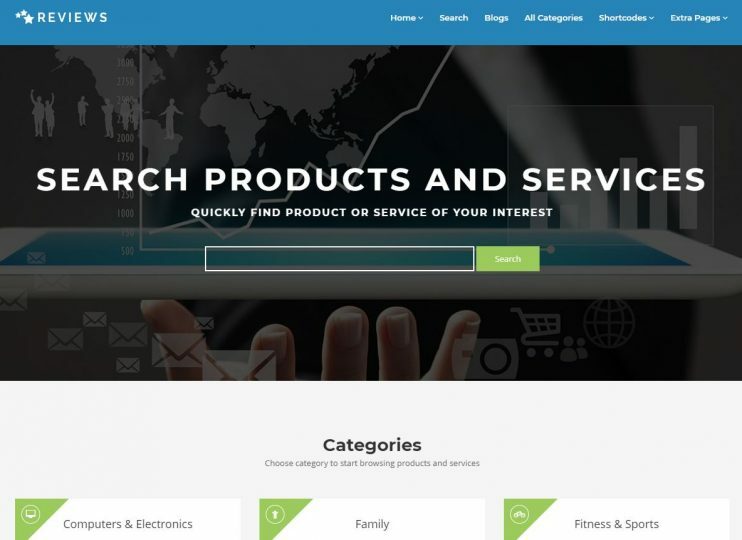 Review is not exactly a classified theme but it is a product review theme that can be used as a classified website with the eCommerce features. 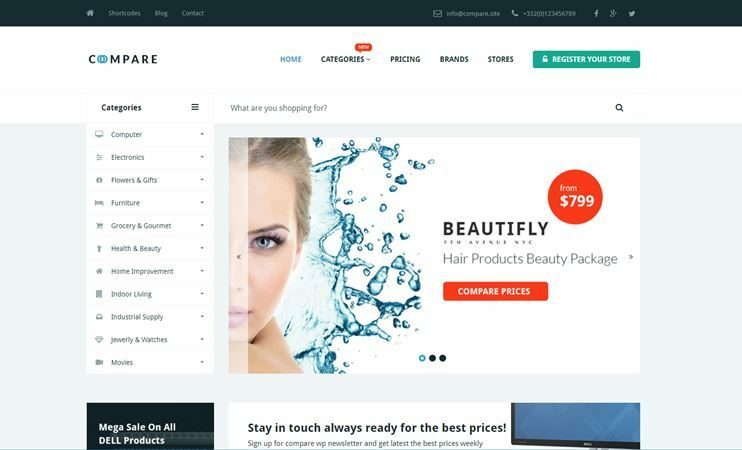 The theme can be used to create a website in 2018, that compares and reviews a product. It can also show where the product can be bought from. So, before buying a product, the users can refer its feedback on your website. It comes with custom widgets and page templates. The theme has easy table options, to let you create pricing tables. The theme can be used to create a website in RTL language too. Without any external plugin need, the theme can be used to create a classified website. It can also be used to a fully functional online ad posting software. It allows frontend users to submit their classifieds listings. Adifier supports different ad types: Buying, gifts, auction, selling, and exchange. It supports custom fields. This classifieds WordPress theme has all the features to let you make money through an online classifieds business. Classiads is one of the elegant and flexible classified theme for WordPress. The theme has a clean and modern look and easy options to create your website. It supports GeoLocation. There are two homepage versions of the theme. Classiads has an intuitive and powerful theme options panel. Create membership plans on your website. This theme also allows frontend submission listing. If you want to start forums, you can use the bbPress plugin with this theme. For accepting payments on your website, PayPal can be integrated. Classiads is SEO friendly too. 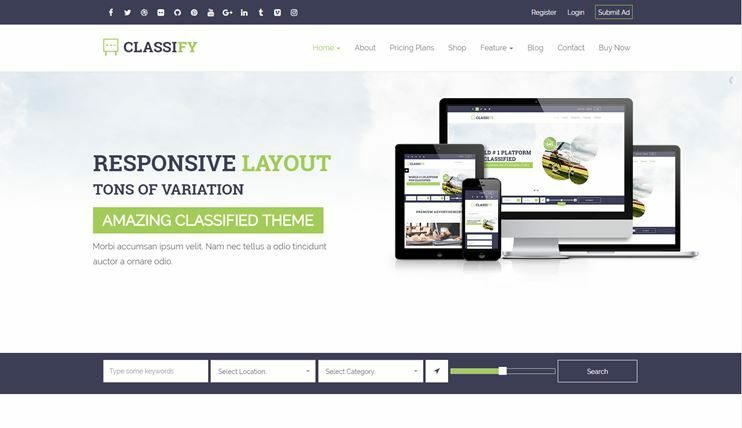 Classify is a feature rich Classified WordPress theme. It comes with GeoLocation support and unlimited customization options. Classify comes with different homepage styles. It supports video ads. The theme hasPayPall built in. ForeCommercee features, you can use the WooCommerce plugin. With Classify, you can create membership plans and allow front end submission of ads. This theme has an inbuilt email alert facility. The code is clean and well commented, so you can extend or update it easily. Even though this is not a ready to use Classifieds website template, you might like to opt for it if you want a fully flexible classifieds directory. The theme allows you to create custom post types with unique fields, to accept submissions under different categories. 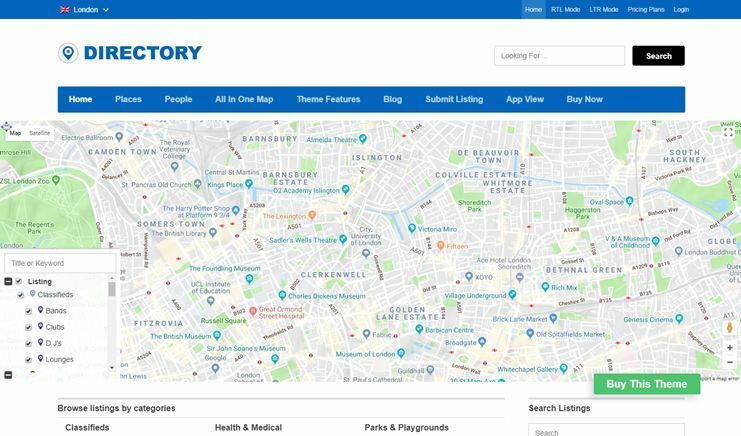 Directory and its set of child themes and add-ons, provides you all the flexibility to create a niche specific classifieds website or general purpose classifieds website. Classified Engine comes with beautiful design and amazing features. The theme is designed to let you monetize by posting ads on your classifieds website. You can create your pricing plans with time duration. The users can post a review, share the ad or directly send an inquiry message. The theme allows map on the website. For changing the look of the theme there are easy and intuitive options. Some of the options are available at the front end itself. The theme comes with PayPal integrated and supports some other popular payment gateways too. Classified Engine is SEO optimized. 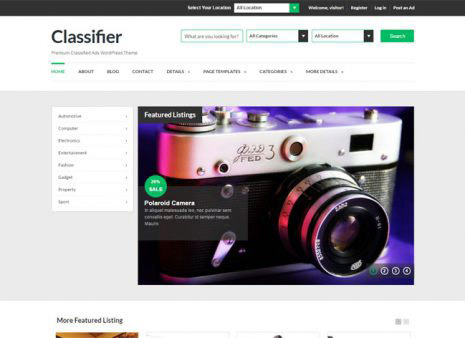 The classifier is a WordPress Classified theme to let you create a feature rich and fully monetized classifieds website. It has a clean design and vast customization options. With the membership options, you can create and display membership packages. The theme can be used for free or paid classified ad submission. The Ad detail page is well designed and comprehensive. For enabling the social network on your website, the theme is BuddyPress compatible. The theme comes with some page templates. The theme takes care of SEO management too. 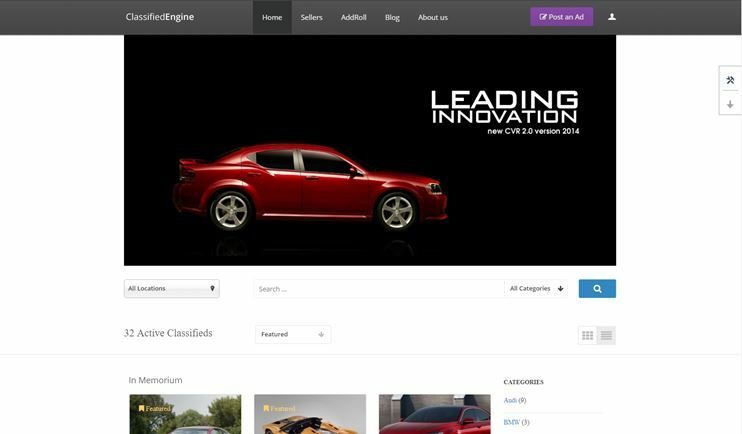 WordPress Classifieds theme is a feature packed theme to let you create a classified website. It is flexible and comes with easy and vast administration options. You have more than 30 child themes with different designs to choose from. You can built your custom registration forms with custom fields. With this theme, you can restrict the site content and allow access to the determined membership level only. There are specific areas for advertisements that you can use for making money. The theme also has good features to create and print receipts. WordPress Classifieds theme is compatible with most of the popular WordPress plugins. 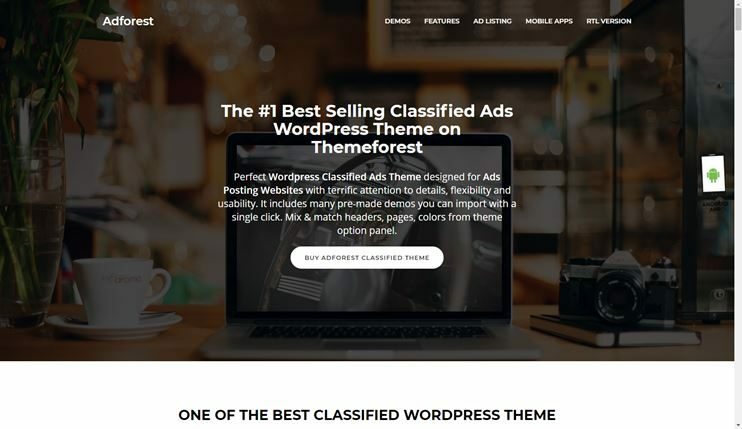 ClassiPress is one of the best WordPress classified themes. It comes with many monetization options. It is a cleanly designed theme. The homepage of the theme is highly customizable. With easy options, create pricing plans. You can also customize the submission form with the custom fields. The theme allows you to create membership packages too. The search option in the theme included search autocomplete and suggestions. The code of the theme is clean and can be easily extended. ClassiPress is SEO optimized. 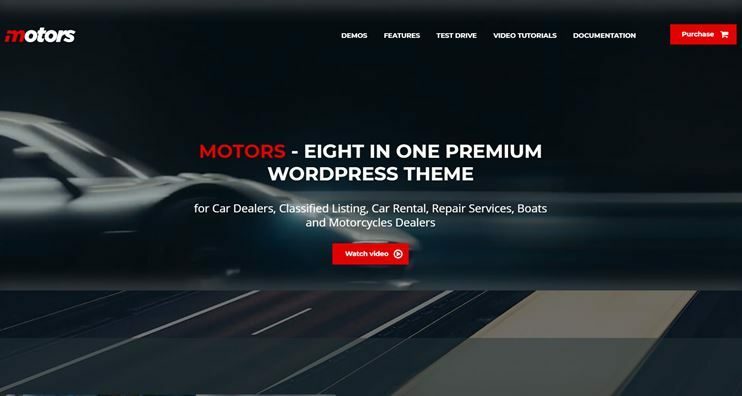 Carspot is a one of the most powerful car dealer wordpress theme especially designed for the automobiles and car dealership business owners to grow their businesses online. 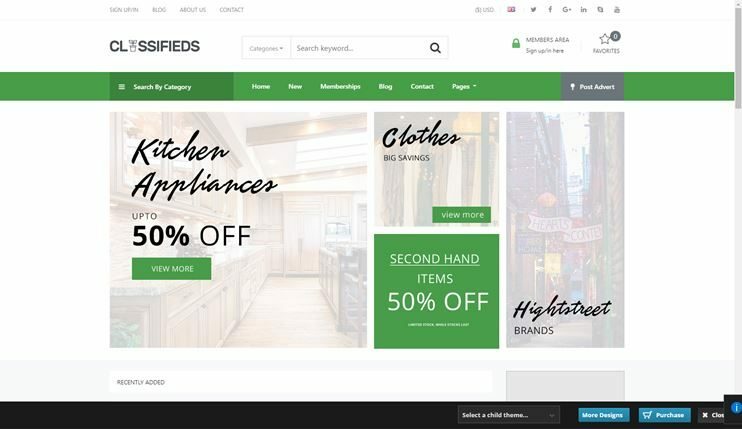 This theme is eCommerce ready with WooCommerce compatibility. It comes with multiple customization options and comes with classifieds icons that you can use to decorate your website and make it look absolutely professional and tailormade. Besides, it includes a powerful search functionality. 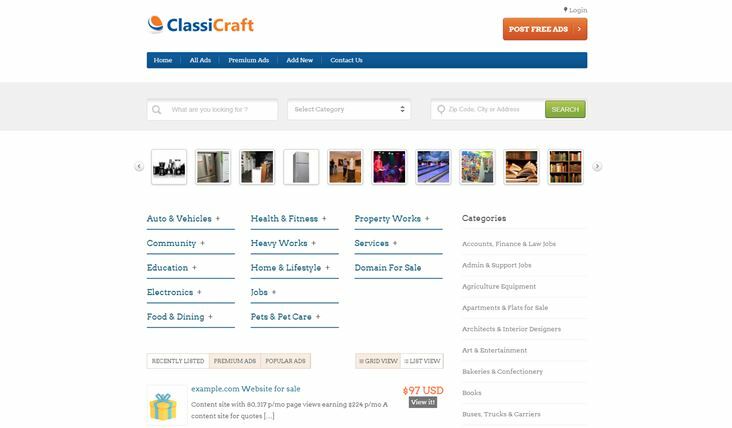 Classicraft is a WordPress classifieds website template to start your own online marketplace. Create a multipurpose Classified website with this theme and generate some passive income. The theme comes with multiple monetization options. Use your creativity with the inbuilt features to improve the usability of your website. With the inbuilt payment processing systems, you can start accepting payment right away. This is a classifieds website template that can be used for various niches. It can even perform as a fully fledged multi purpose Classifieds website. You can easily integrate PayPal into your website and start accepting payments. The theme is feature rich. With all those vast and varied features, the theme is still really easy to use. 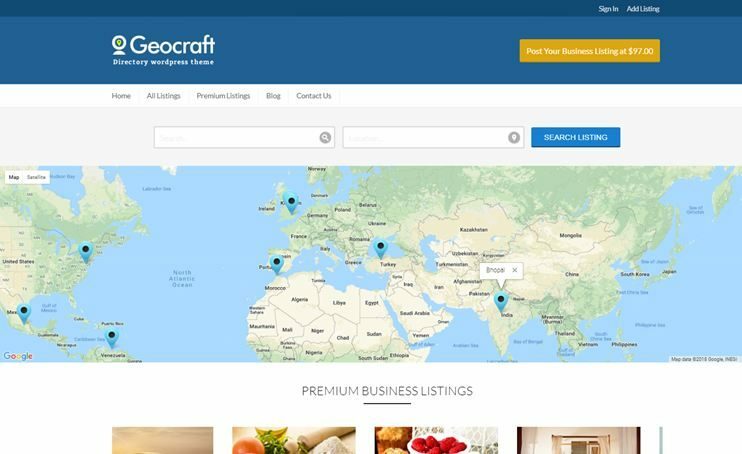 GeoCraft is an ultimate classified directory theme that you can use for your classified website. This classifieds WordPress theme is responsive and comes with Secure SSL to keep your site secure. GeoCraft directory WordPress theme comes with enough ad space to let you monetize your website traffic by displaying advertisement banners. It provides compatibility with WooCommerce for eCommerce features on your classifieds website. It comes with awesome slider and cross-browser compatibility. Listify is one of the most popular listing based directory theme that you can use to create your classified website. It lets you easily create pages of your choice with the visual composer drag and drop page builder. This directory WordPress theme is fully responsive and cross-browser compatible. For eCommerce on your classifieds website, you can use the WooCommerce plugin. Moreover, the theme is really easy to use, speed and performance optimized and comes with all the options to let you customize and manage your WordPress website easily. Search and go, as the name suggest is a powerful and easy to use classified directory theme. This classified template is easy to use and customize. It comes with multiple shortcodes and different page layouts that you can make your site attractive. Search and go allows social logins. With google map, you can create a really easy to search website. This classifieds WordPress theme has enough customization options to let you create a website that looks and works exactly the way you want. Which Classifieds themes would you choose? All these classifieds website templates let you create beautifully and feature rich WordPress classifieds website. Generally, to create a feature rich and flexible classifieds website, it can take days or weeks. 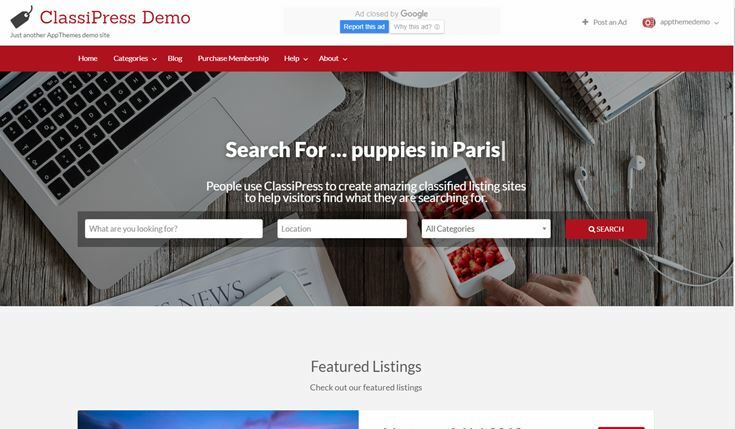 However, using these Classifieds theme, you can get started in just moments. Besides, all these Classifieds WordPress themes are flexible enough to let you create websites of your choice. Pick up your favorite one and get started now. ...and create a professional and classic ad posting website on your own. Also included, are some of the most popular money making features to help you earn more. Hello, i am curious what theme would you recommend for a real estate classified website? I am planning to create a classified platform where estate agents can post their listings. Any suggestions would be great. 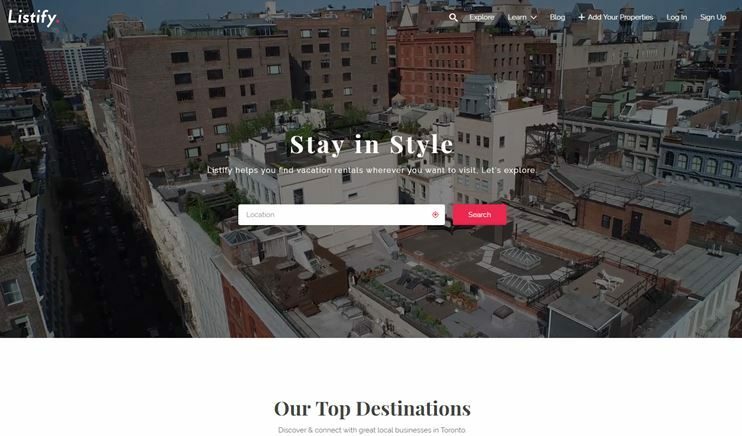 For real estate listing website templates you can refer this post – https://templatic.com/wp/best-real-estate-wordpress-themes/. Or you can choose any of the classifieds directory templates that allow you to create custom post types. Also have a look at our own, easy to use Classifieds WordPress theme that can be easily turned into a real estate classified website. Hello, I’m looking theme for a course site (such as pool course, guitar course etc) with user registration, a list of classified ads, and a simple layout. Thanks. Do check out our list of WordPress themes for educational courses. The themes in this list will allow you to create all the courses you want with user registration. Also, go for an eCommerce ready theme if you wish to display classifieds ads. Want to create a best classified wordpress theme website? Then, it is a good place for you to create your own classified wordpress theme. This wordpress classified sites has been built to assist you make a classified ads or listing website with wordpress. Because we have magnificent design, astonishing highlights, adaptable choices and unlimited use for classified theme. 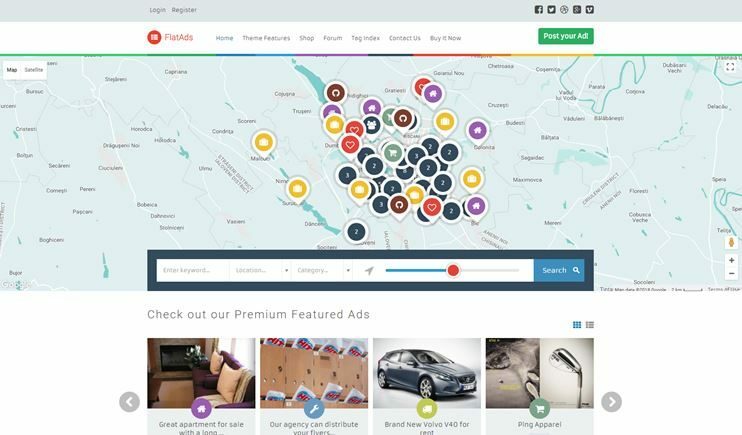 This classified ads theme has a unique design with various latest idea and style. It is fully functioning classified ads wordpress theme that will give your website much more superior. Look for real classifieds script with even bettern themes. AdForest, one of the best wordpress classified them. It’s really awesome.